Paul Pogba is an injury doubt for Manchester United's derby clash with Manchester City after missing training on Friday. 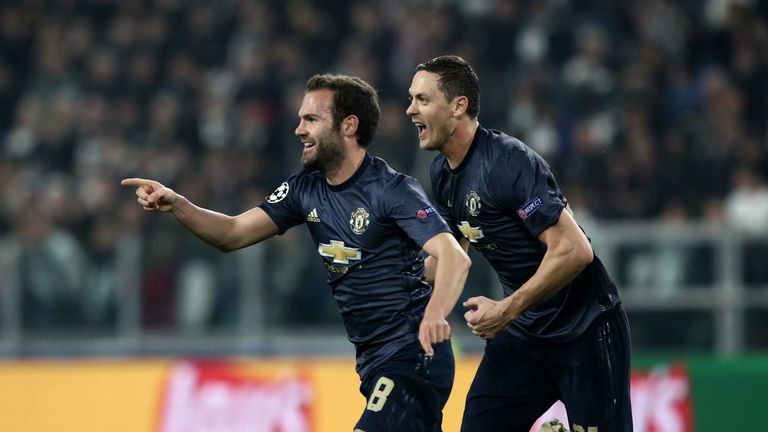 The 25-year-old played the full 90 minutes against former club Juventus on Wednesday as Jose Mourinho's side came back to secure a stunning 2-1 win in the Champions League. However, Pogba was conspicuous by his absence from United’s training session on Friday – an unneeded injury scare ahead of Sunday's derby at the Etihad Stadium, live on Sky Sports. United will be hoping that what is being described as a "little injury" will not keep the World Cup winner out against City. It is understood that Pogba did indoor work at the Aon Training Complex on Friday as a result of the issue. Romelu Lukaku is already a doubt for the derby, having missed the trips to Bournemouth and Juventus with a hamstring injury sustained last Friday. The striker trained with the group this Friday, as did Alexis Sanchez, who took a blow in Turin. Mourinho said ahead of the session: "Lukaku is training with the team this morning. We have of course one more session tomorrow, but if the answer is positive, he's ready. "But in this moment, I can only say he trains with the team. I don’t know his answer."